From left - Brian Savage (owner), Lanny (creative director), Pete (editor, marketting), Ben (fiction, magazine), Karl (advisary board). 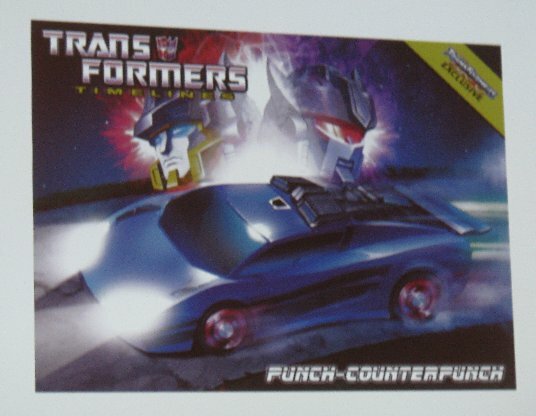 Started with the evolution of the packaging image for their Punch/Counterpunch toy. Lanny's draft - then Dan Khanna's art. Josh Perez does the colours. Lanny tweeked - then the finished product. 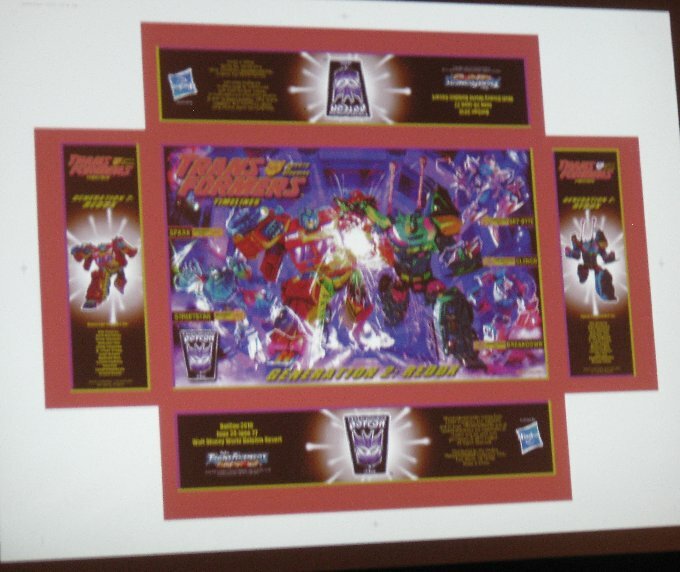 Same evolution process for this year's boxset art. Makota Oda's art with follow-up notes. 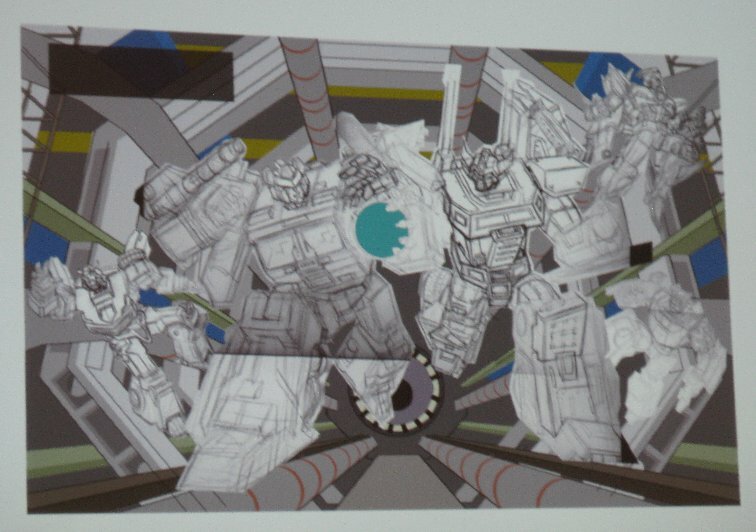 Further stages (no details on who or what). 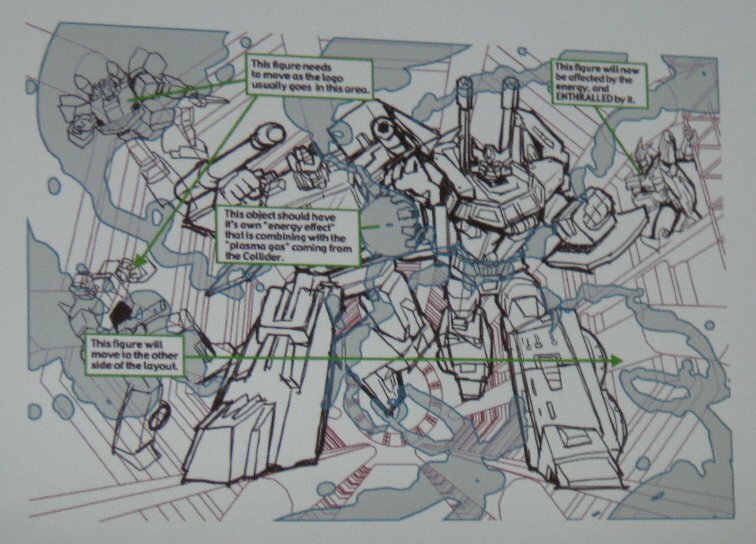 Next was the production process for just one of their BotCon toys. After they know which characters/moulds they can use, they look over the mould-trees to see what parts are/should be the same colour. Then colour charts are done up for the plastic colours and paint apps. 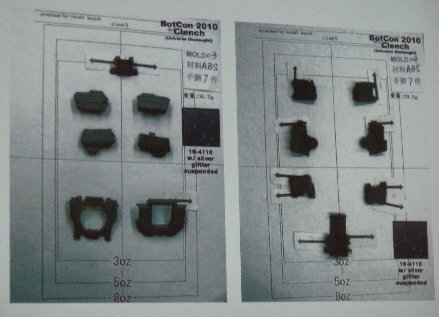 When samples are produced, they make notes on changes or errors that need to be fixed. 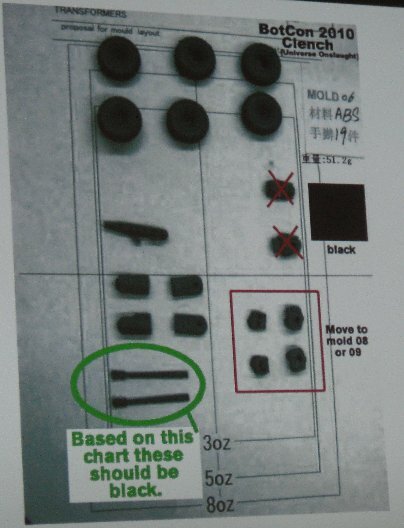 Like the missiles being pink, despite the mould chart showing that they should have been black. They decided to stick with the pink though. 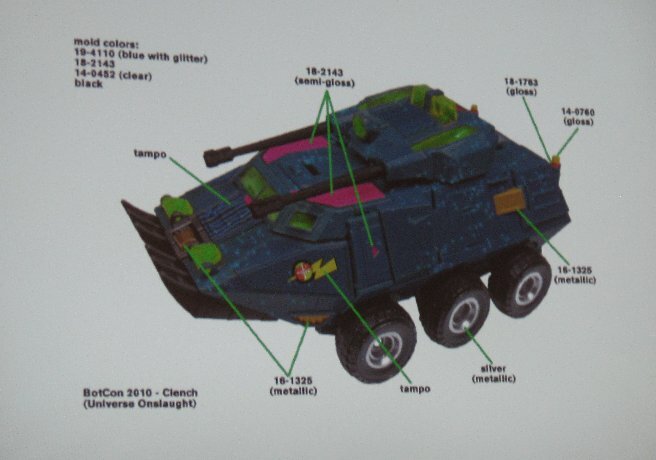 Next up was revealing three upcoming Club toys. 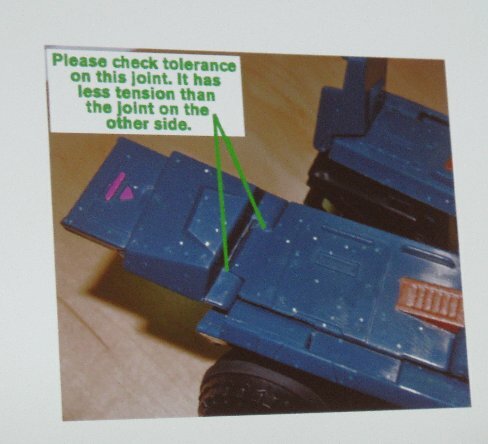 RiD Sideburn, using the Classics Hot Rod mould - should be the 2011 Membership toy. 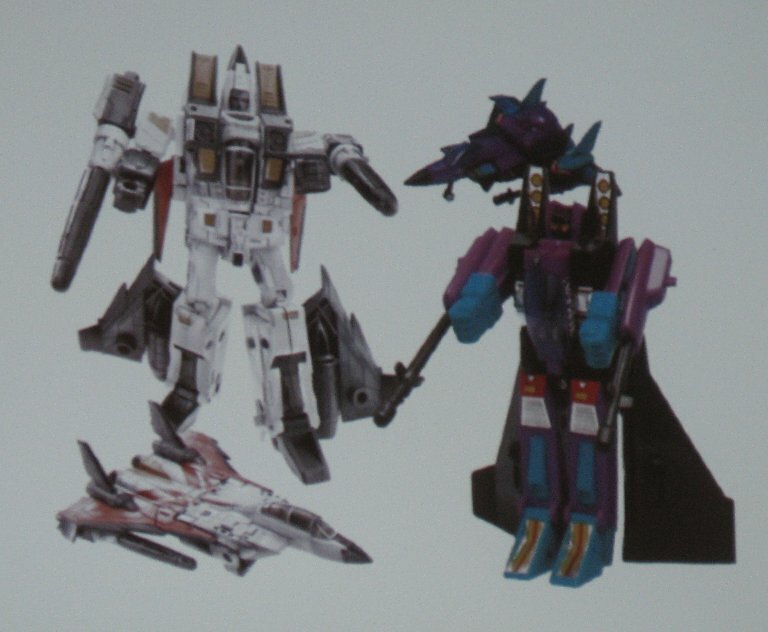 Gen2 Ramjet, using the Classic Ramjet mould - should be their 1st store exclusive for 2011. 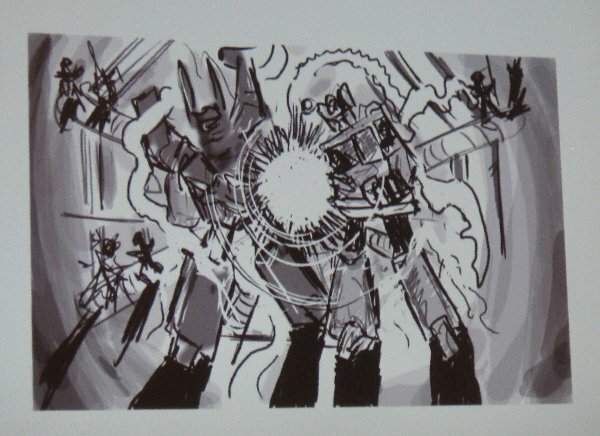 They sidetracked for a moment to tell us that Gen2 Ramjet was originally one of the first 2 figures planned for this year's BotCon set. 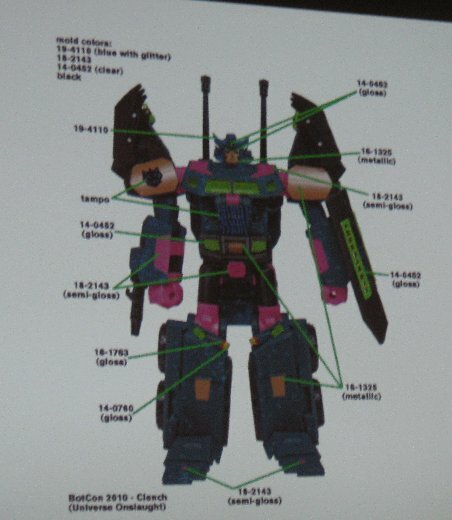 Actionmaster Thundercracker coloured Classics Seeker was the initial idea for this year's BotCon theme and set, as the Attendee figure, and then Gen2 Ramjet was proposed, but it was rejected by Hasbro because they were about to use it for Thrust (they can't use a mould that is currently being used). 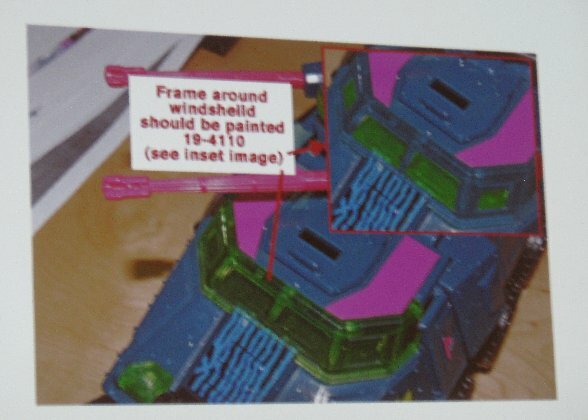 Now that Thrust has been produced, and after Dirge is produced, it will be okay for FunPub to have their Gen2 Ramjet toys produced. 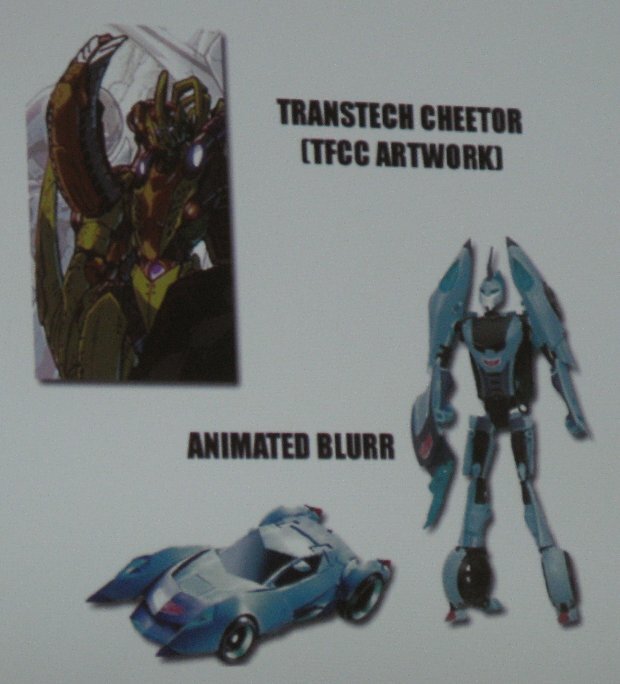 Transtech Cheetor, using Animated Blurr mould - should be their 2nd store exclusive for 2011. 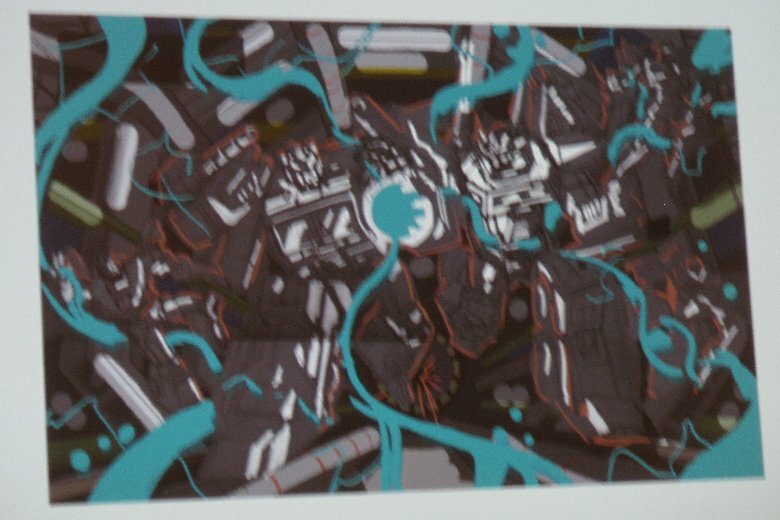 After the slides, they went onto some details on the theme of this year's BotCon set. 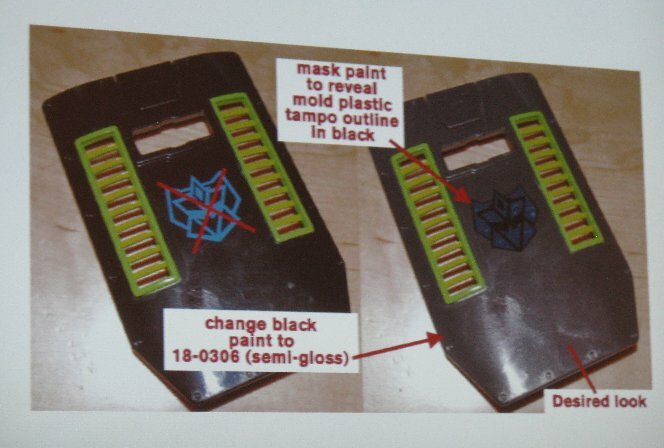 The Gen2/Euro theme was Pete's idea, and was never meant to be just 'Gen2', but was shortened by name for convenience. Nothing currently being used by the factories. 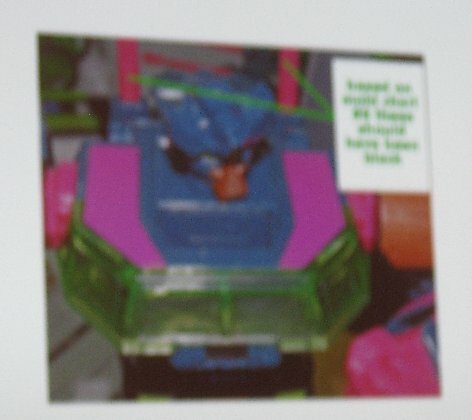 Nothing that Hasbro are currently planning to do themselves. 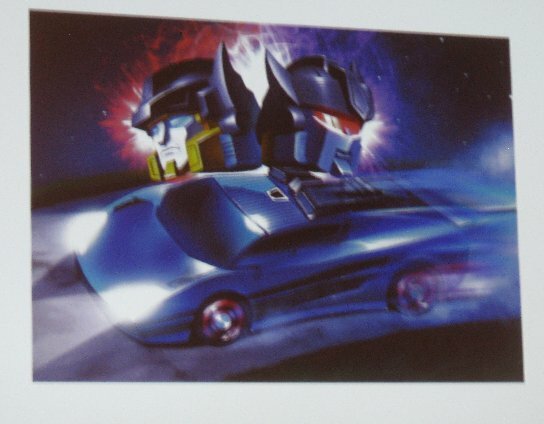 Generation 2 was a safe bet for their ideas they pitched to Hasbro, because there was almost no chance of any of it being released by Hasbro. 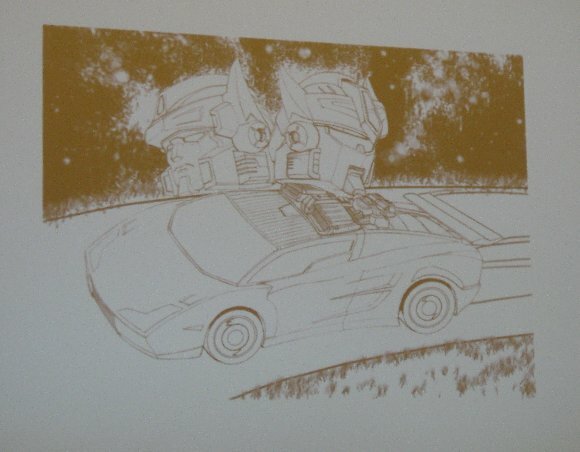 Gen2 Sideswipe was never going to be in the set, as Breakdown made more sense for the theme of BotCon. 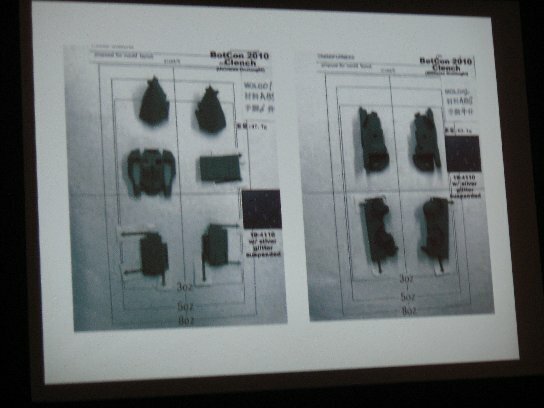 They just didn't expect the toy parts to come from the factory in Gen2 Sideswipe colours. 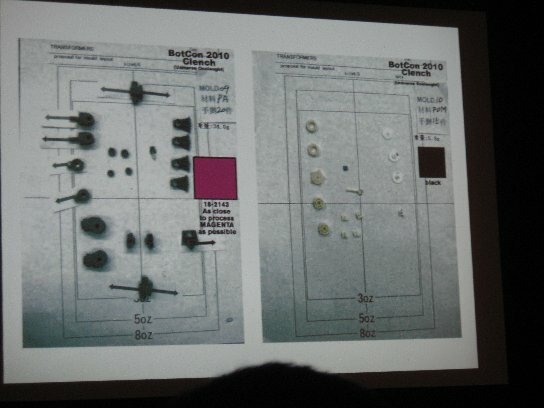 They put in the request, but since it is only 50 units, and since it never happens, they were surprised when they got the parts... and then worried about what the fandom were going to think. 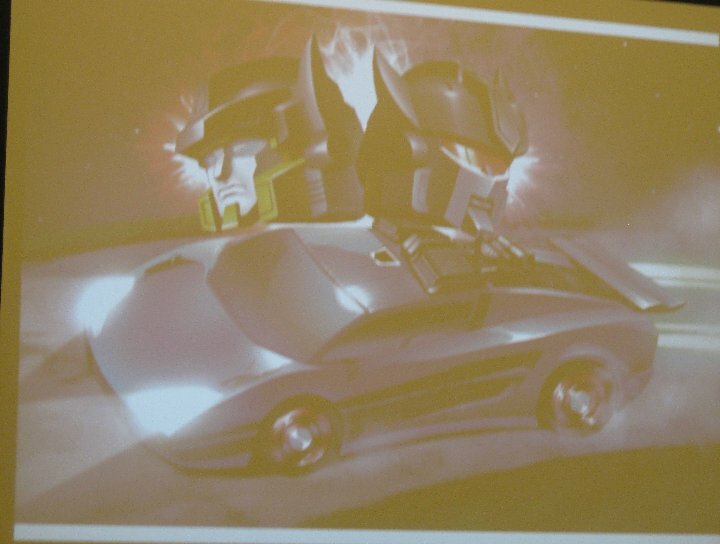 They did reassure us that they may do a Gen2 Sideswipe toy as a Club Exclusive, later, due to the interest. 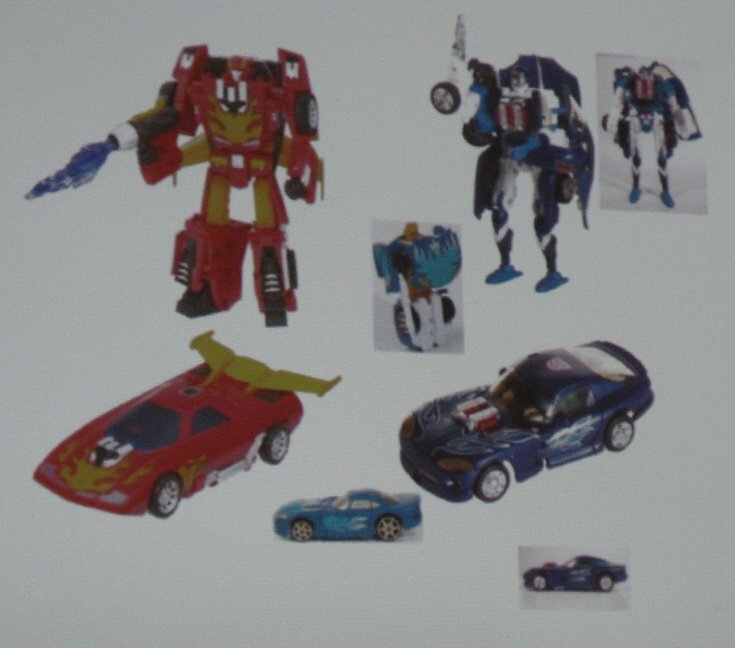 Last year's Mystery Big Exclusive Toy is still on their table of ideas, but not planned for release any time soon. They mentioned again that Hasbro now owns the Nexus Maximus Character name (not sure why though). 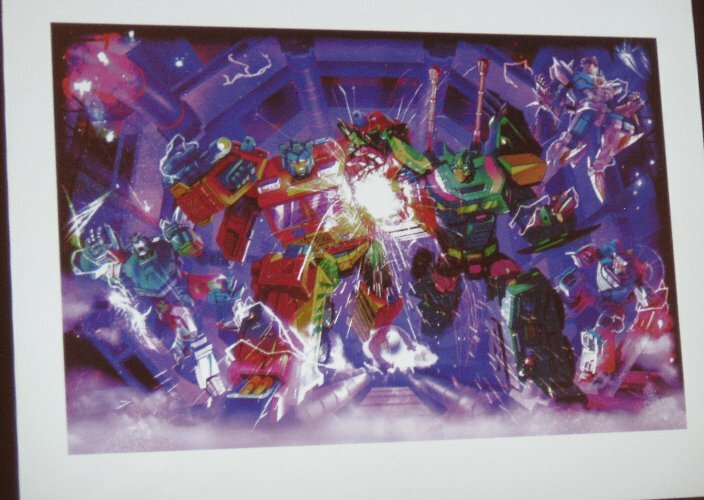 This year's BotCon T-shirt doesn't have the location (Disneyland) on it, due to licensing issues (they would have to pay to use the name). 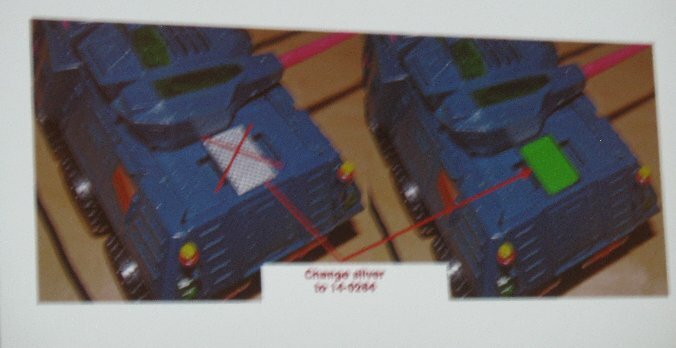 When asked about doing more Transtech toys (to go with Cheetor), they said it would be difficult because of the design/look of them - there aren't any existing toys available that would suit/match. Up next were the announcement of the winners of the various art competition categories. Each of these have been noted in the Art Display page. 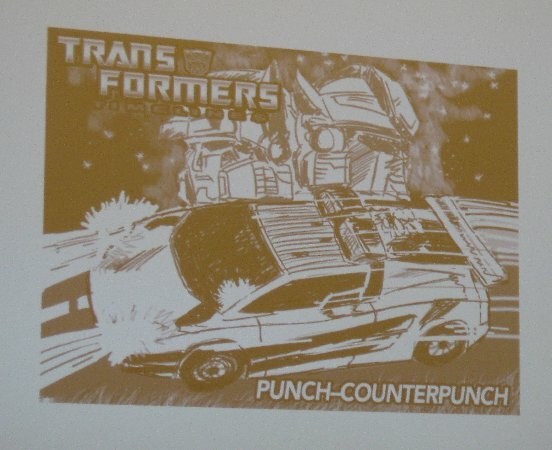 As the panel wraped up, Brian announced that they would be getting in another 300 Punch toys, around August, and there would be a limit of 1-per-person (excluding those who already bought one), until orders slow. Ordering should be up in a couple weeks.